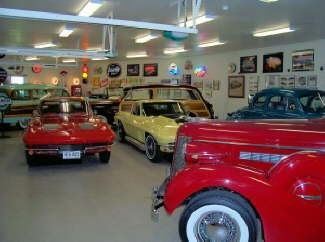 Please join us for a Tour of the Lewis Little Auto Collection followed by lunch at Smithfield Station. Sorry, I cannot find any recent photos of the Collection; here is one from 2013. Mr. Lewis changes his collection regularly, so the display will be different than what we saw in 2013, so I expect to see some beauties that were not on display for our last visit. We will meet at 8:45 AM at the Sheetz, 231 East Hundred Road, Chester, VA 23836, for a 9:00 AM Driver’s meeting. We will depart at 9:15AM and travel Route 10 to Smithfield. A stop at Hardee’s, 1909 S Church St, Smithfield, VA 23430, will allow a break prior to the tour the Collection, which starts at 11:15 AM. At 12:30 we will travel to Smithfield Station for lunch. A varied menu, selected just for our group, will be available and they will tabulate individual checks. Get your $5 payment in soon to be one of the first 50!